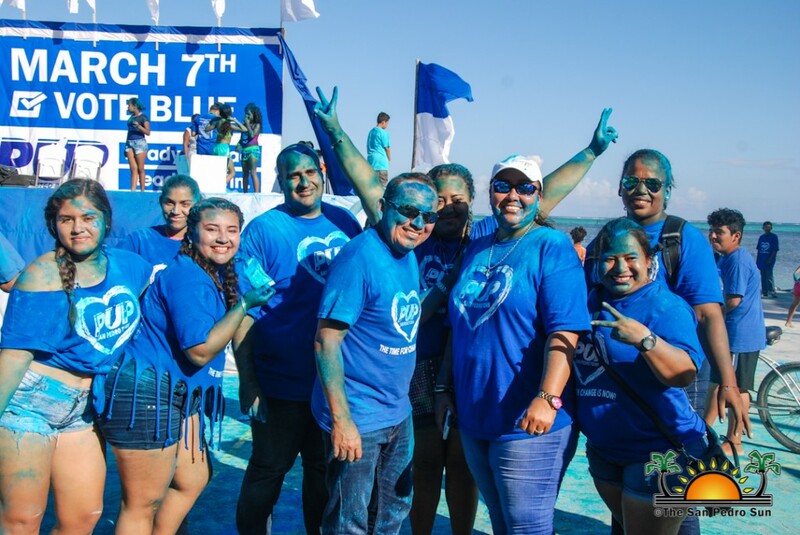 The Belize Rural South People’s United Party (PUP) slate hosted a Love Fest at Boca Del Rio Park on Sunday, February 4th. 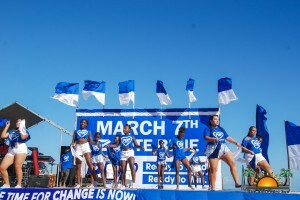 The event saw a large crowd of supporters enjoying a day full of activities. 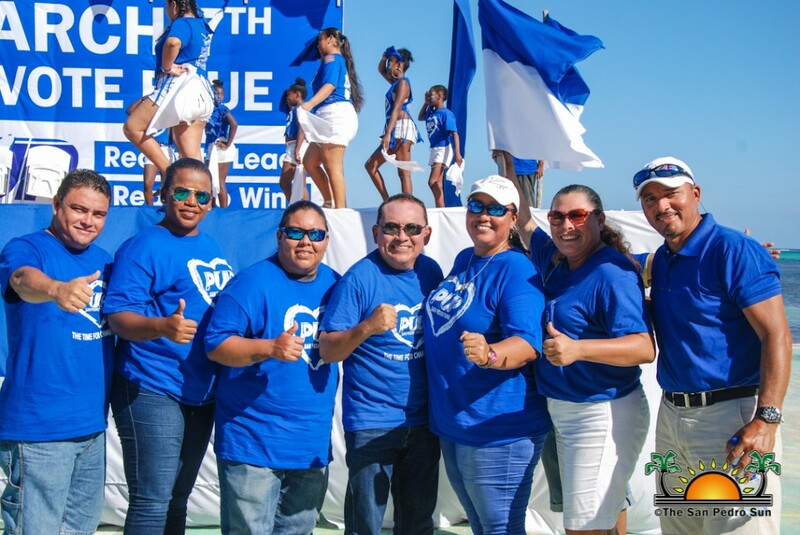 Present at the event was the PUP town council aspiring candidates, Andre Perez, Ruben Navidad, Ian Pou, Marina Kay, Danieli Aranda, Johnnia Duarte, and Undina Dina Duarte. The ceremony started at 2PM with the singing of the national anthem, followed by a short invocation. Thereafter, Master of Ceremony Alex Nunez welcomed everyone and invited the six councilor candidates one by one to the podium to share some words. The first candidate of the afternoon was Ruben Navidad, who shared a little bit on all the issues that Ambergris Caye is presently facing. “I would like to highlight the issues that our community is going through, as we all know them. Issues such as poor street conditions, the amount of garbage, bad infrastructure and much more. 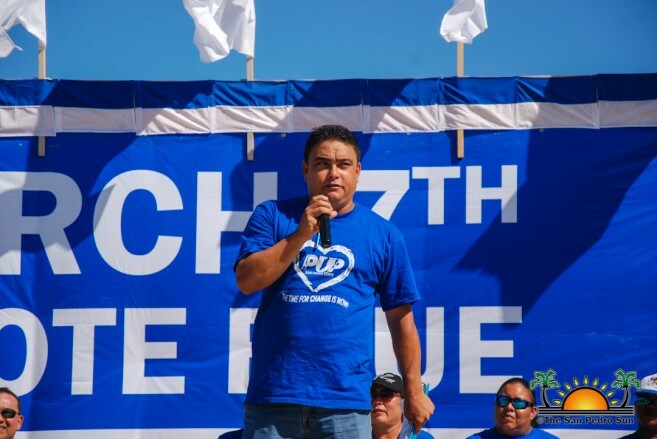 I just want to tell everyone that if they are ready for a change and a new San Pedro Town to vote PUP 7 on March 7th.” said Navidad. Ian Pou then spoke on the number of children that are presently not attending school on the island. 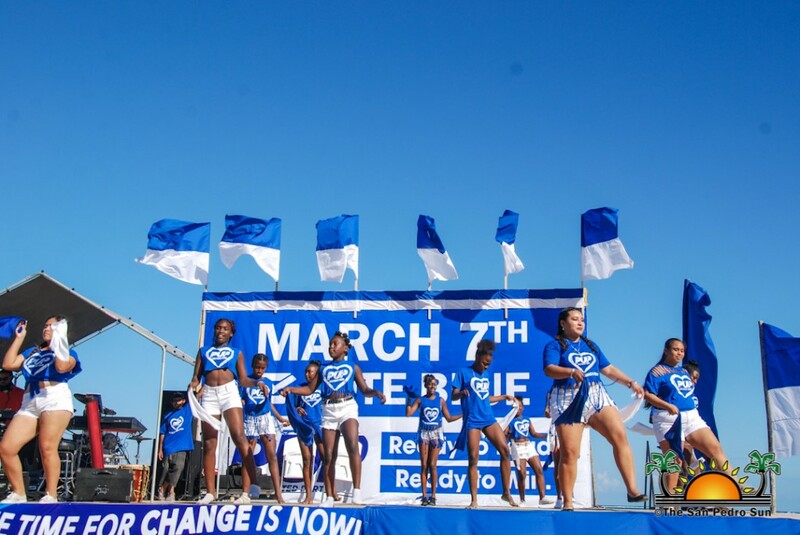 “I’m confident that we will bring the victory on March 7th. During the campaign process, I noticed that the biggest neglect on the island is children not attending school. I’m not here to criticize, but we all know what the present Town Council is doing nothing about this. 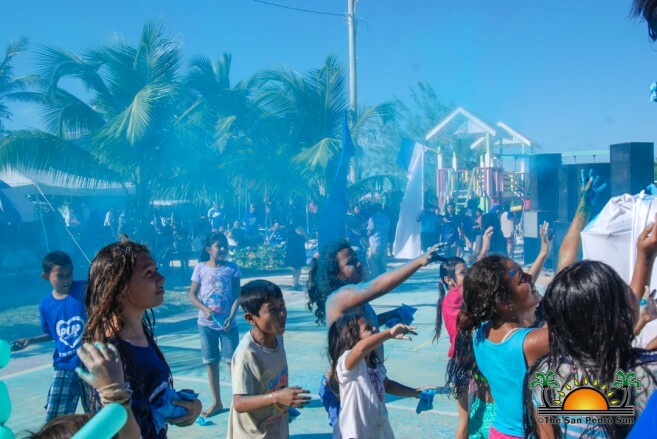 We pledge to provide you with a financial report, engage youth in sports and provide more scholarships to all those underprivileged children on Ambergris Caye. All the Mayor of San Pedro Town is good for is cutting ribbons, not improving lives,” he said. 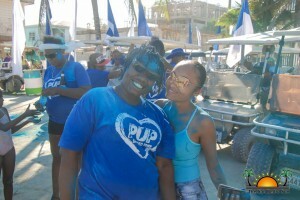 Pou also alleged that they are presently 56 children in the DFC Area alone that are not attending school. The speeches continued with Marina Kay sharing a couple words to the crowd, asking them to make the right decision and vote PUP 7 on March 7th. 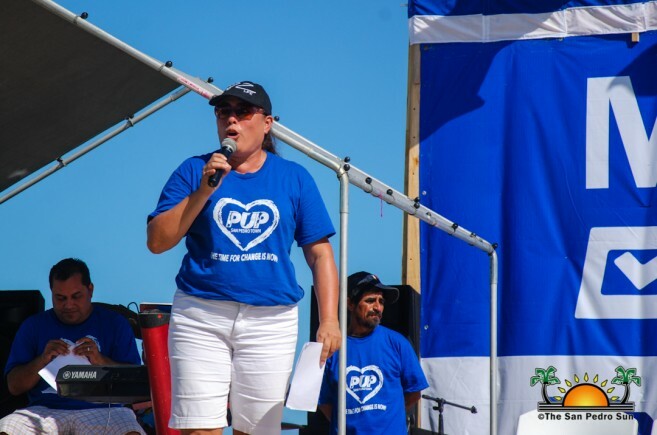 Next up was Undina Duarte, who delivered a short speech, thanking everyone who came out and supported them. Dianele Aranda decided to speak on an issue that occurred on Ambergris Caye which made her realize that the UDP Town Council slate was not right for her community. “The reason I decided to stand up and do something for my community is that I lost hope in the UDP leaders; especially after one a specific incident that occurred here on the island. The day a child was abused and raped, the mayor responded by saying, ‘As a growing community we should expect these things.’ That day made me realize even more that I had to stand up for the wellbeing of my people. As the leaders of our community, we should be uplifting these mothers and kids, not commenting those things. 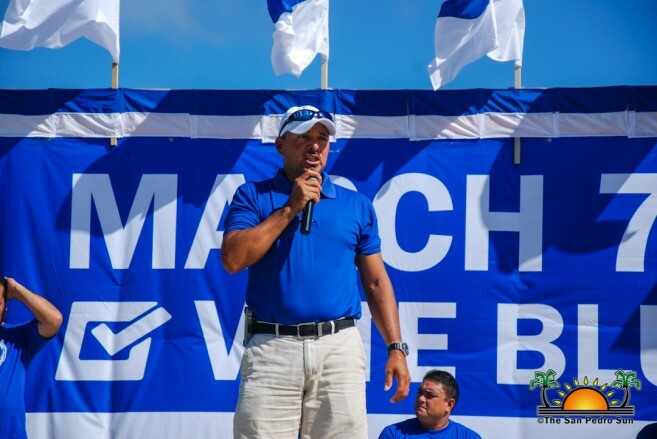 I want to ask you all to stand up with me and make the right decision on March 7th,” said Aranda. 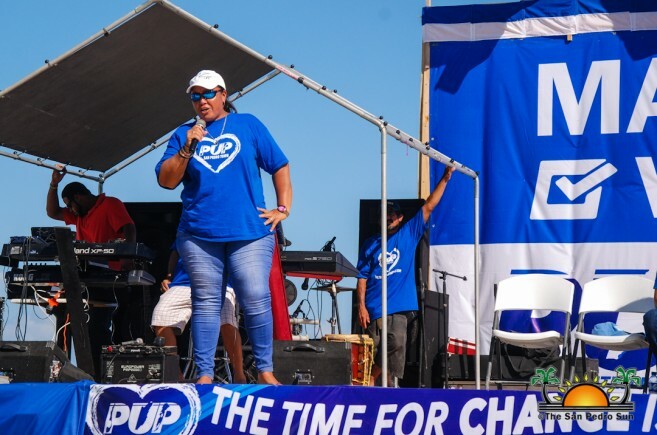 Finally, Johannie Duarte delivered a short speech and invited everyone to make the right decision by voting PUP 7 on Election Day. 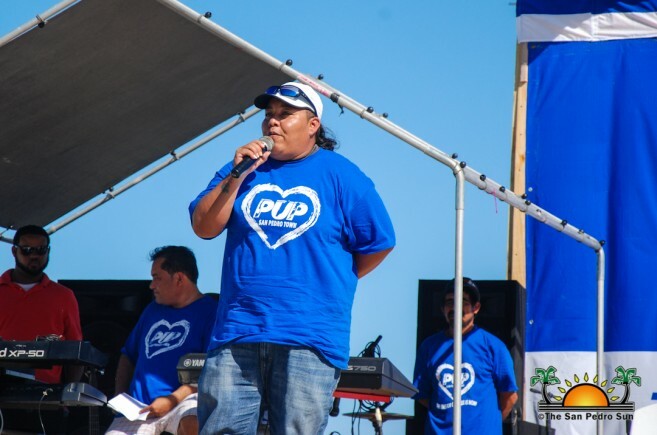 Closing the ceremony was none other than the aspiring PUP mayoral candidate Andre Perez. “I believe my team has said it all. So I don’t want to go into depth with the serious issues that our community is facing. I am not alone in this, I have a whole team of professionals behind me. I believe that we are leading this election. During our campaign, we visited various homes on the island and one thing I can confirm is that nobody rejected us. 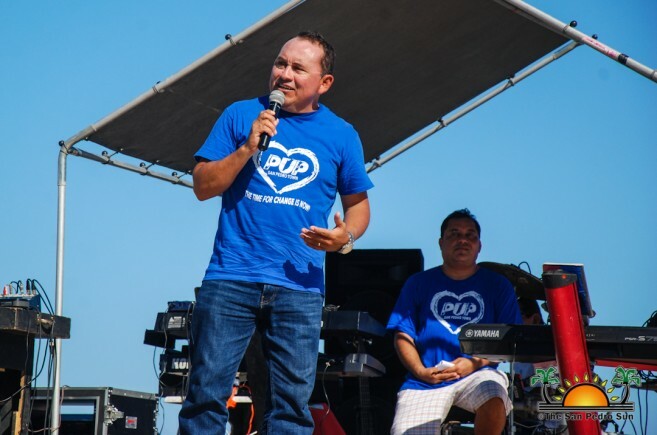 Everyone welcomed us with open arms because they are for the change in our community and the country,” said Perez. He concluded by telling everyone to vote PUP on March 7th. After the ceremony, those in attendance enjoyed a dance number by Mystic Mass Band, followed by a blue powder party. The Love Fest continued into the night with music by DJ Bigz and Caribbean Kings Band. Children enjoyed bounce houses, trampoline and even face paintings by Ozzy the Clown. 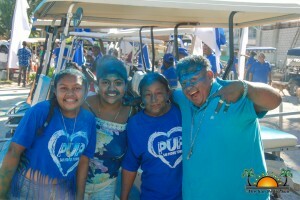 On the previous day, Saturday, January 3rd, PUP Party leader John Briceno visited San Pedro Town. 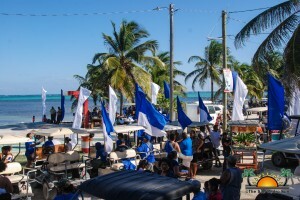 Due to his visit, a parade was held through the main streets of San Pedro Town. 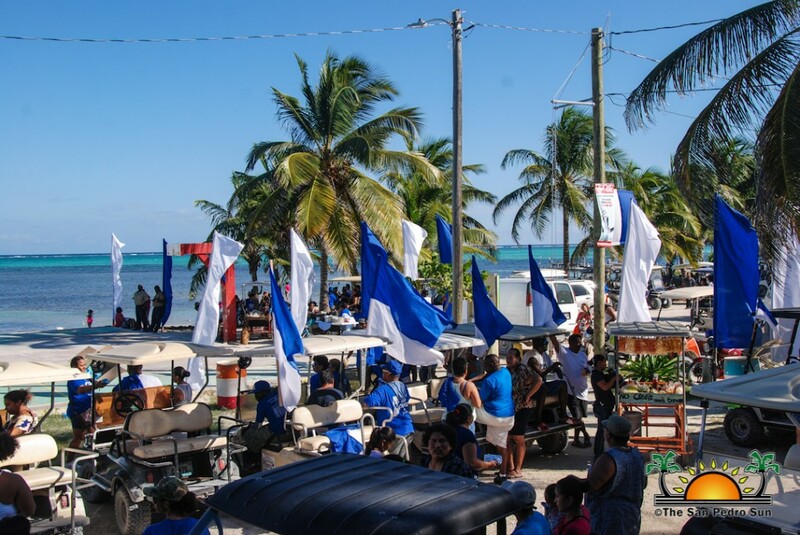 Briceno joined the San Pedro Town PUP 7 slate in their campaign by visiting various homes on the island. 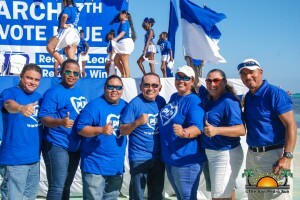 With the visit of the party leader and the Love Fest, the PUP 7 hopes to attract more islanders to vote for them on Election Day.